The last building in Teachers Village is nearly finished; its 81 residential units are 75 percent leased, the developer said. Inset, one of the development’s architects, Richard Meier. If Newark is actually finally officially revitalized — considering that news of its rebirth has been reported since roundabout 2005 — quinoa salad may represent a turning point. In March, the Brick City welcomed Whole Foods Market and its pricey gourmet groceries to the long-shuttered 30,000-square-foot Hahne and Company department store space on Broad Street. The high-end grocer signed up for a 10-year lease in a deal with L+M Development Partners brokered by Chase Welles at the Shopping Center Group. The market rate for Broad Street retail is $40 per square foot, but a representative for L+M said Whole Foods will pay a bit less than that. It’s a long-term investment for Whole Foods, the modern-day signifier of a well-heeled neighborhood. As such, it’s expected to reassure developers and investors that a city once known for violence and poverty is now safe and open for business, longtime property owners say. From 2014 to mid-2017, the city’s Central Ward welcomed 1,767 new apartments, most of them rentals, at a development cost of $1.02 billion, according to Carmelo Garcia, the chief real estate officer for Newark’s Community Economic Development Corporation. But a much bigger boom is coming. From mid-2017 to 2020, the Central Ward is expected to add 6,421 apartments at a cost of $2.4 billion. Some of the projects in the pipeline still require zoning approvals and are not yet fully financed, Garcia said. Newark’s political leadership has largely set the stage for the city’s revival. U.S. Sen. Cory Booker, who served as mayor from 2006 to 2013, focused on building affordable housing and reducing crime in the city while courting the investment of developers like Beit (see related story). Ras Baraka, the mayor since 2014, has been an even more forceful proponent of development, reviving stalled plans and pushing into new corners of the city, developers, brokers and city officials point out. Despite this positive progress, it’s important to note that about a quarter of Newark’s population lives below the poverty line, according to 2015 Census figures, and its murder rate remains high, though it is decreasing. In 2016, there were 93 homicides, down from 103 in 2015. Jersey City, with a population of 264,000 compared to Newark’s 277,357, had only 24 murders in 2016. The city has had a reliable long-term benefactor in Prudential Financial, which was founded in Newark in 1874 and continues to play a major role in shaping the city. A walk through Newark turns up many examples of the company’s influence, from Prudential Center, the arena on Mulberry Street, to Prudential Hall at the New Jersey Performing Arts Center, the red-brick arts complex on Center Street. Likewise, Prudential’s longtime headquarters, the 24-story 1960s Prudential Plaza, at 751 Broad Street, is among the city’s tallest buildings. In summer 2015, Prudential completed its a gleaming new facility at 655 Broad, a 20-story, $444 million high-rise that replaced a former department store. Prudential Financial has a two-thirds stake in the mixed-use Hahne building, while L+M Development holds the remaining third. Encompassing two city blocks, 655 Broad also includes a trading floor, an employee gym and 47,000 square feet of sidewalk-level shops, about 75 percent of which have been leased. “There are couple of spaces that we are being picky about,” said Ommeed Sathe, a Prudential vice president who oversees the company’s sizable local investing effort. 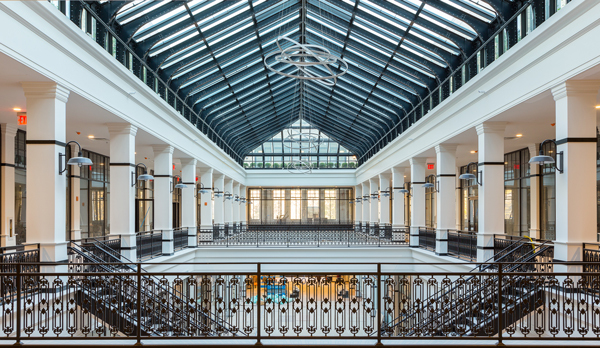 Prudential also had a hand in facilitating one of the city’s most high-profile developments, the aforementioned former Hahne department store on Broad Street, the 1931 red-brick structure that houses the new Whole Foods. Not only did Prudential help purchase the property, but it got involved in the design decisions, too. Prudential has about a two-thirds stake in the $175 million project, Sathe said, while L+M has about a third. Beyer Blinder Belle and Inglese Architecture + Engineering were the architects on the project. In addition to the 30,000-square-foot Whole Foods, the mixed-use project, which has new sections joined to the original edifice on a block-through site, offers retail and office space across two floors. Current tenants include Express Newark, a 50,000-square-foot arts incubator from Rutgers University. Also in place are a bank, a medical clinic, a pet store and a Barnes & Noble bookstore, for a total lease-up of about 75 percent, according to Prudential. In September, the building will open an as yet unnamed restaurant from celebrity chef Marcus Samuelsson, said Jonathan Cortell, vice president of development at L+M. Brokers say that, among other factors, renters are drawn to Newark’s relative discounts. Studios in new-development buildings in Jersey City, a rival submarket, average $2,500 a month, according to HotPads, a listing service. By contrast, the Hahne building, which has 160 residential rental units ranging from studios to three-bedrooms, offers 96 market-rate apartments that start at $1,800 a month. About 70 percent of those apartments have been leased since January, Cortell said. “We have made great headway,” he said, adding that he has only occasionally had to offer a free month of rent as a concession. The other 64 apartments in the development are affordable units, which have been assigned via lottery. Other new and relatively affordable places to live include RBH’s mixed-use Teachers Village, which contains 204 apartments. Subsidies, federal and state tax credits and other public money accounted for about 40 percent of the $150 million project, Beit of RBH said. 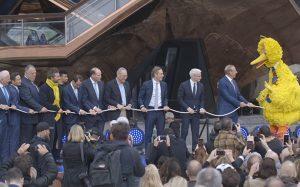 The project also attracted investors like Nicolas Berggruen, Frederick Iseman and Warren Lichtenstein. Prudential allocated $50 million in new market tax credits that Goldman Sachs Urban Investment Group purchased. Prudential’s support “has been game-changing,” Beit said. The complex, which also has three public schools and 65,000 square feet of retail spread among 18 stores, was conceived to offer a low-cost housing option for Newark residents. Of the units, 20 percent are considered affordable and reserved for those making 80 percent of the area median income for Newark, or $44,000 a year for a single-person household. More than 70 percent of the residents are teachers, some of whom work onsite. They pay 15 percent less than the market rate, said Beit. Market-rate studios start at $1,050 a month, while full-sized one-bedrooms start at $1,450 a month, he added. Beit said that the 204 apartments are almost completely leased, while the stores are 70 percent assigned to tenants like Provident Bank, Bella Nail Lounge and Tonnie’s Minis, a cupcake bakery. Teachers Village’s final building nearing completion, the 81-unit residential building at 17 William Street, was 75 percent leased as of early May, he said. When Teachers Village wraps up, Beit, who since 2001 has acquired 79 Newark parcels in 30 separate transactions, will begin ramping up another major development: the Four Corners Millennium Project, which will add three prominent buildings to Newark’s skyline. The first will be a 130-room Cambria Hotel and Suites at 101 Market Street, also designed by Newark native Meier. With 117 apartments and 11,000 square feet of retail, the project will break ground by the end of the year, assuming Beit lines up its building permits, he said. Shortly after that, RBH will redevelop a site that includes the long-dormant Paramount Theater on Market Street, adding 13 stories and 220 apartments. Then the company plans to build a 22-story, 216-unit apartment tower atop an existing retail base at 787 Broad Street. “You needed projects of scale to move the needle of a streetscape, which directly affects the perception of a place,” Beit said. Also, in a place where institutional partners are key, Beit is planning to develop a mini-campus for Rutgers’ new Honors Living-Learning Community, an $81 million, 320,000-square-foot project with classrooms and 400 beds. It will rise in a former parking lot on New Street. In May 2016, L&M paid about $17 million for 540 Broad Street, a sandstone Art Deco building designed by architect Ralph Walker. There, as a part of a $110 million conversion project, L+M has proposed a 265-unit rental tower, with 20 percent of those apartments reserved as affordable housing. There will also be stores ringing the ground floor, and the hope is that an onsite auditorium could be repurposed as a restaurant, L+M’s Cortell said. Verizon, which currently occupies the entire building, will shrink its footprint to just the fourth floor and stay on as a tenant. The project, which is being designed by CetraRuddy and Inglese Architecture + Engineering and which still requires approvals, is expected to open in spring 2019. L+M has not yet lined up construction financing, according to Cortell. Nearby, Dranoff Properties, a Philadelphia developer, is several stories out of the ground with One Theater Square, a 22-story luxury tower rising from a former parking lot for the performing arts center, across the Military Park. The $116 million project, which is being funded with equity from Prudential plus $33 million in state tax credits, will offer 245 studios to three-bedrooms and 12,000 square feet of stores, as well as amenities like a fire-pit-dotted terrace. Rents are expected to start at $1,250 a month for studios, Dranoff said, when the building opens in summer 2018. Twenty-four of the apartments will be affordable. Other projects are a bit farther away from downtown, like 24 Jones, a 152-unit multihued project from Tucker Development near Rutgers’ medical school and other schools. The project is a piece of Springfield Avenue Marketplace, a $92 million development with a Taco Bell and a ShopRite supermarket. And a lofty former piano showroom called the Griffith Building plans to add 56 studio apartments under a plan from Cogswell Realty Group and the Berger Organization. Other projects, still awaiting approvals, are much more ambitious, like the plan by Lotus Equity Group to redevelop the former Newark Bears baseball stadium with 2,200 apartments. Lotus bought the nearly eight-acre site on the Passaic River for $24 million last year. The minor league team folded in 2014. Similarly, there’s the massive 22-acre mixed-use Mulberry Commons, green-lighted this year after more than a decade of false starts, though Newark officials do not yet count it in their projected development total since it’s still embryonic. The project will add apartments, stores and parks to a desolate multiblock area near the train station. The development team is made up of Edison Properties, J&L Companies and Prudential. Before the project kicks into gear, the city must underwrite the cost of the construction of its centerpiece three-acre park, which is planned for Mulberry Street and Edison Place, Garcia said. But in a sign of how private investment is taking on a larger role, the megadevelopment, whose first phase is supposed to open in 2018, is expected to be mostly paid for with private money — about $100 million — versus $10 million in public funds. 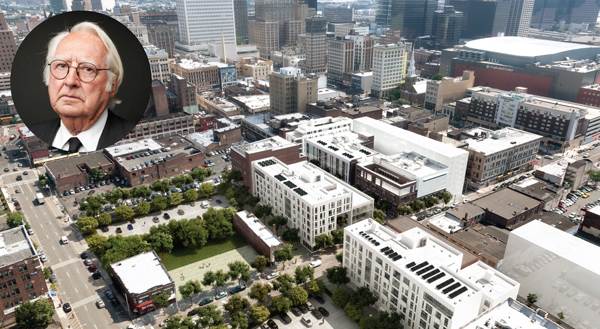 With so many promising plans, many are proclaiming Newark to be the next Hoboken. But despite his numerous development plans, Beit takes a more measured view. “We are close, but I don’t think we are there just yet,” he said, adding that once more banks start lining up with construction financing, Newark will have truly arrived. Yes, says Frank Peterpaul, the broker-owner of Peterpaul Real Estate Agency, which handles residential and commercial deals and is based downtown. Renters will flock, drawn by Newark’s affordability, he said. “And there’s much more of a commitment from developers than there’s been in the past,” said Peterpaul, 61, who was born and raised in Newark’s Ironbound neighborhood. Peterpaul says he receives six to eight calls a day from investors looking for development sites in the city, a level never before seen, and many of those calls are from Manhattan and Brooklyn, he added. In 2013, about 5,000 people were living downtown, according to census data. City officials report that the population in the area has shot up since then, an increase they expect will be reflected in the next census. And it is only expected to grow.